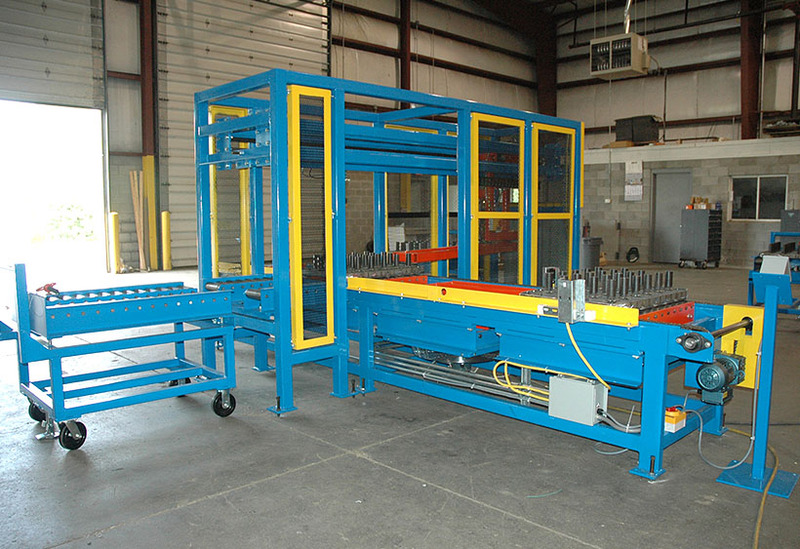 Our client needed to automate the labor intensive and potentially dangerous operation of loading and unloading heat treat over racks. 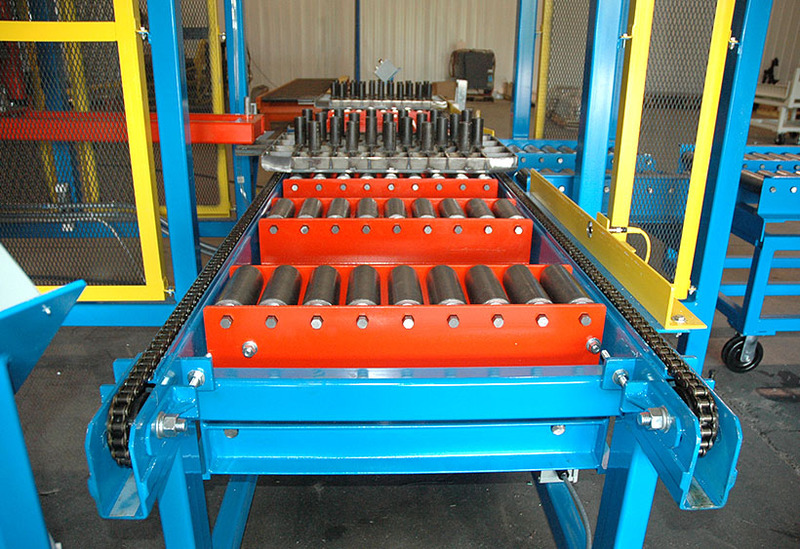 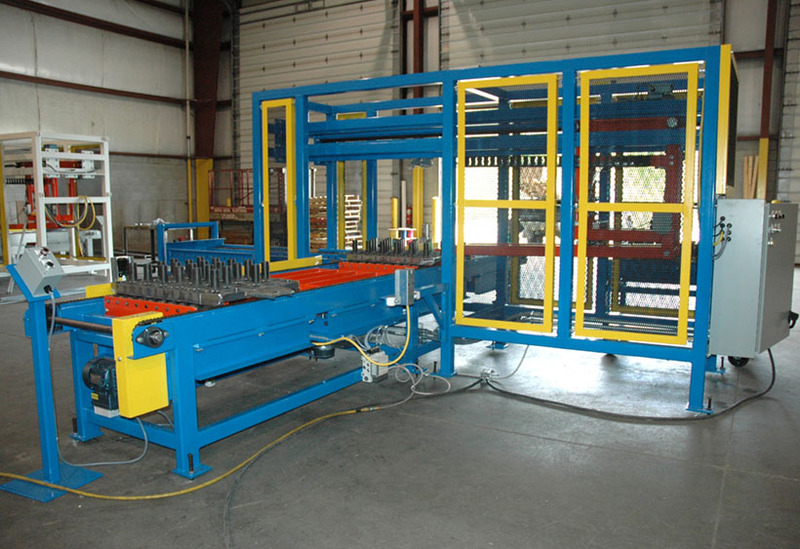 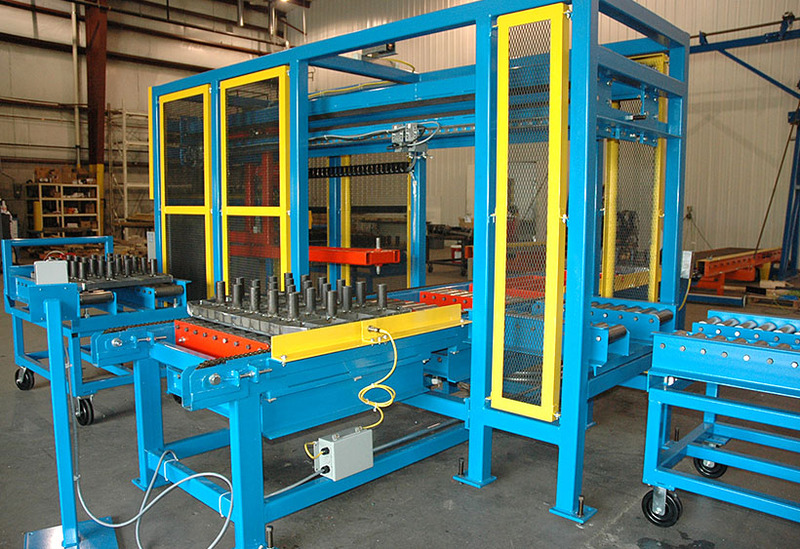 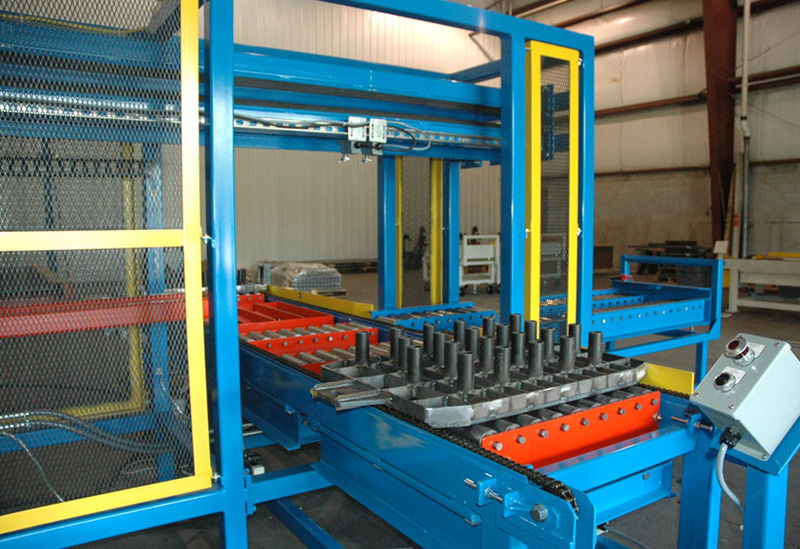 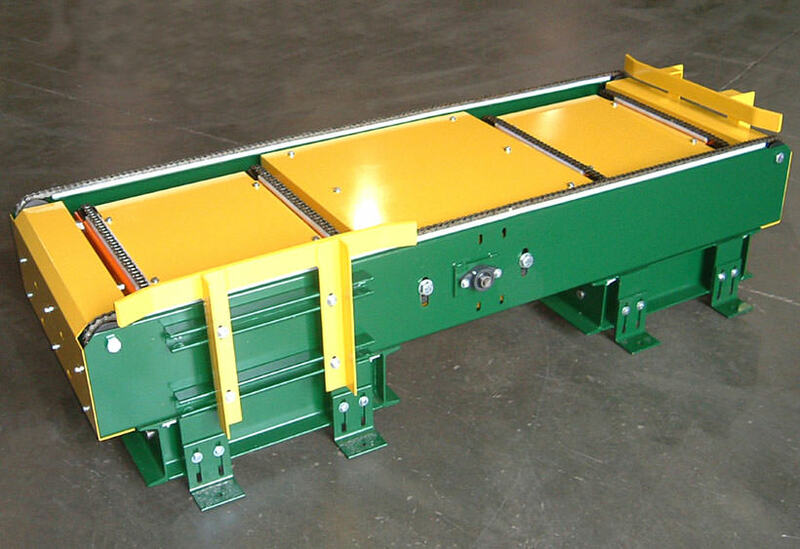 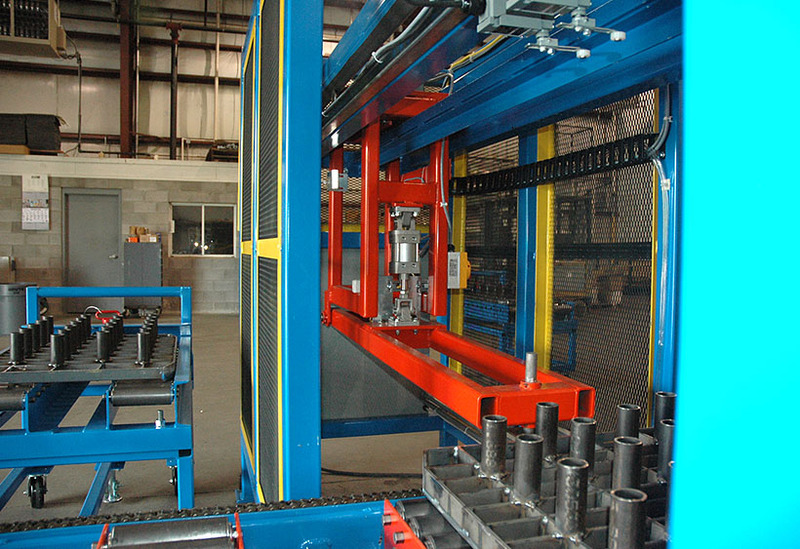 Our custom design system included the main two-strand chain conveyor that runs the length of the system. 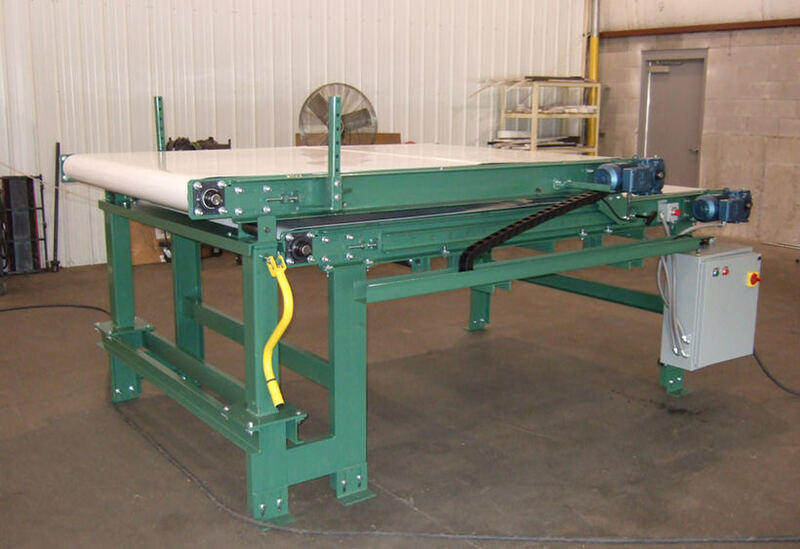 We provided pop-up gravity roller conveyors in the load, oven transfer, and exit sections of the system. 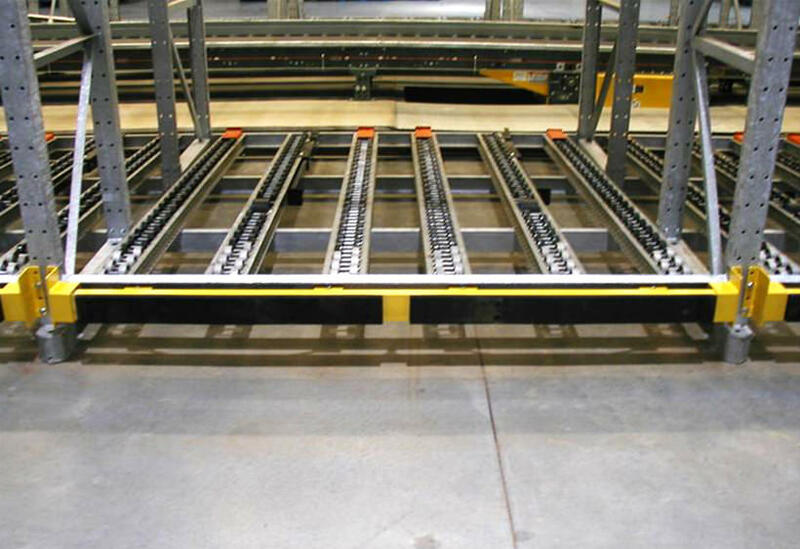 To move the racks in and out of the oven, we designed and built an arm that engages the rack, pushes it into the oven, then releases allowing the door to close. 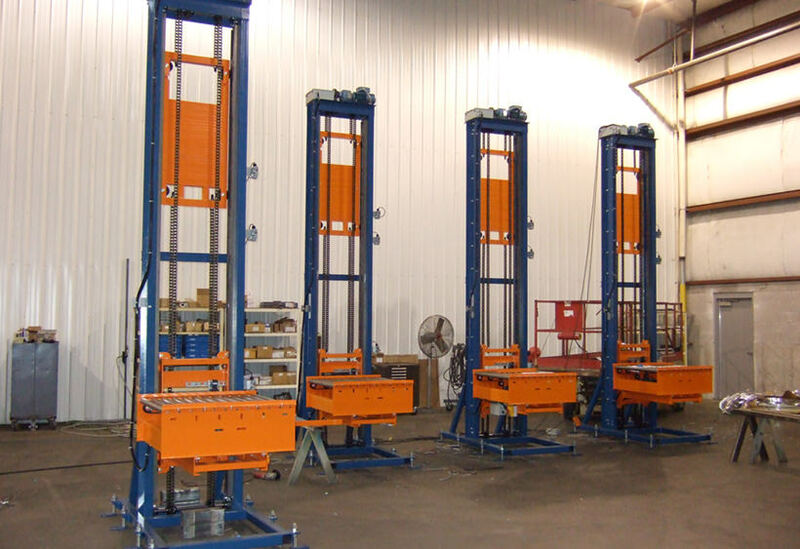 We also provided two forced air cooling stations as well as several custom roller top carts that are used to transport the racks to the system.